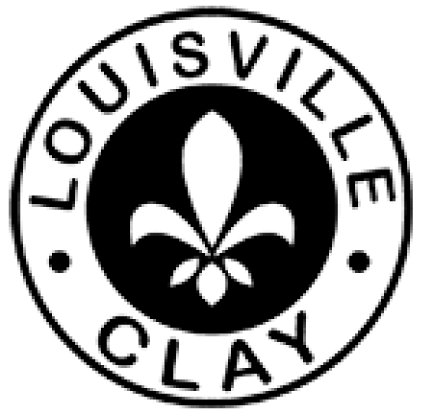 AA Clay Studio & Gallery, conveniently located in south-central Louisville is operated by qualified artists. 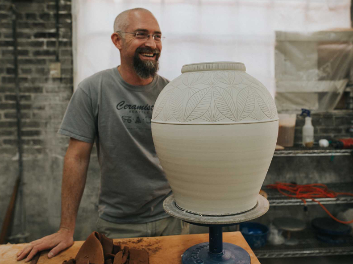 The studio is a shared working space with modern ceramics equipment. We offer classes, private lessons, and open studio access! Our six-week classes are a complete experience. • Instructors are degree certified, working, and selling in Louisville, Kentucky. 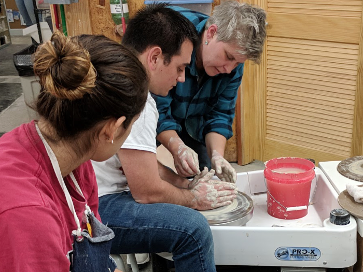 • Practice skills during Open Studio to advance in the craft of ceramics. • All materials, tools, and kiln firing included! Great for beginners, intermediate, and advanced students. • Scheduled by appointment during Open Studio hours. • Clay, tool use, and instruction are provided. • Kiln firing costs are additional. • Perfect For DATE NIGHT! Birthday Party, Team Building, Field Trips, Scout Groups! Your group will be led by a studio instructor. 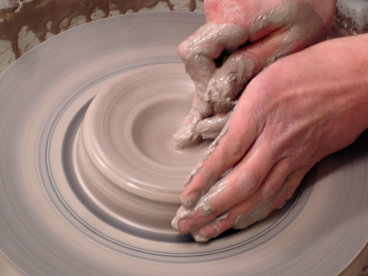 Participants will experience the pottery wheel. Hand-building at the tables will be explained as your group is encouraged to have a fun time in our comfortable atmosphere. 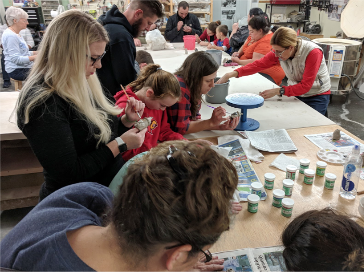 • Includes: (2 hour) studio use, instruction, and clay. Firing costs are additional. Join us on firing day to see the exciting results from the raku kiln! • Participate by making items for the kiln and we will fire our things together. 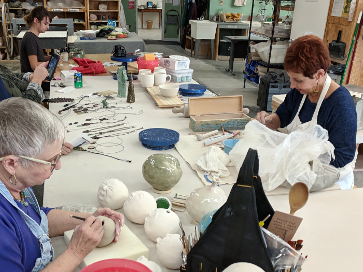 • Meet at the studio prior to firing event to make items for the kiln. • Some experience required. Projects are self directed. • In case of rain, kiln-firing will be rescheduled. 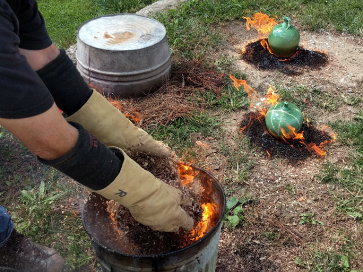 Raku ware is not food safe. • Staff are on hand to answer questions. • Limited storage space is provided. • Members receive discounts on studio fees. • Supportive community of artists and students. 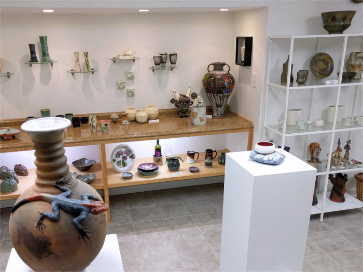 Our gallery features an assortment of handcrafted ceramics from studio artists and master potters. Browse the online gallery for a selection of functional pottery and ceramic art for sale. Visit the studio for a tour and you will see artists at work.